Families and marriages are under stress in the fire service. Many departments are stepping up to offer behavioral services through their Employee Assistance Programs, but many times it is too late. When surrounded by supportive resources, marriages thrive. Although statistical numbers vary, they all show an increase in the effectiveness of receiving help, especially early on prior to relationship issues becoming insurmountable. One goal as a department is to develop a strong family support network from the beginning. By doing this, families have access to have the right resources for the small stuff, before it turns into the big stuff. Sometimes an understanding ear and a different perspective will help a couple through the little things before they pile up into damaging conversations, spilling over into the firefighter’s job. Personally, our family struggled to make the fire life fit into the Monday through Friday, 9-5 world the kind-hearted friends from church, school, the neighborhood, and even extended family were a part of. Having another fire family to receive support and have fellowship with fills the void that comes with being a part of the fire life. Healthy marriages and supportive families also keep your firefighters focused on the job, not on issues at home. A fire department who supports those families is one who is appreciated, not resented, for all the time away from family and loved ones a firefighter spends while working. 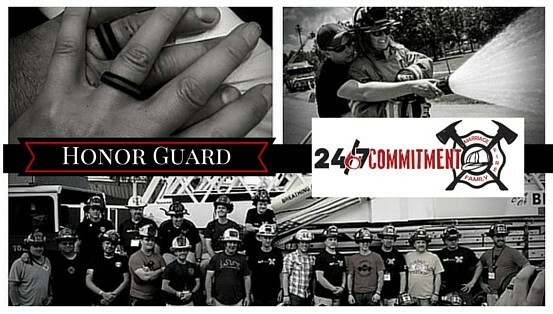 24/7 Commitment is on a mission to honor, strengthen and support marriage and family for first responders and the best way for us to do that is when you share these resources in your department. A Chief or Officer who understands the stress of the fire life, is a well loved chief by his crew and their families. If you are starting without any programs in place, there are small steps you can take to build this community for your department. First, you can introduce them to our online communities. Here thousands of firefighters and fire wives, who are busy with their own work and (some) juggling families solo through the fire life shift schedule, have connected in friendship and support both across many miles and in local regional groups that have developed from our grass roots social media growth. 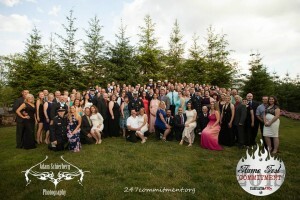 Spouses have connected in the FireWifeSisterhood, and the firefighters have connected in their own community, the 24/7 COMMITMENT Honor Guard for men. specialty subgroups led by those experienced in topics such as fitness, healthy diets, Christian Fire Wives, wildland fire wives and volunteer ffs. Click here for an memo from Lori Mercer to the chiefs. For a flyer specific to the Department Subscription to Marriage On Fire, use this one. For a sign to print and hang in each station describing our online communities, use this one. No matter how long a couple has been married, the marriage requires constant attention. When work, kids, finances, and calendars take over every discussion, it may be time to reconnect with the reasons they fell in love. This program is specifically designed for first responders by a firefighter and his wife, who have both been through the hot sparks and tough fires of marriage, and together have brought healing and growth to a community of fire families. Purchase a department package (options below). You will receive a department-specific access code to share with your firefighters and their spouses. Individuals who chose to particpate will go online to"purchase" and register for the course. By using the access code, there will be no charge. The regular cost of the program is $80 per couple for an annual subscription. However, we have a special program for departments to offer to their employees. For a printable version of this information on Marriage On Fire for Departments, click here. 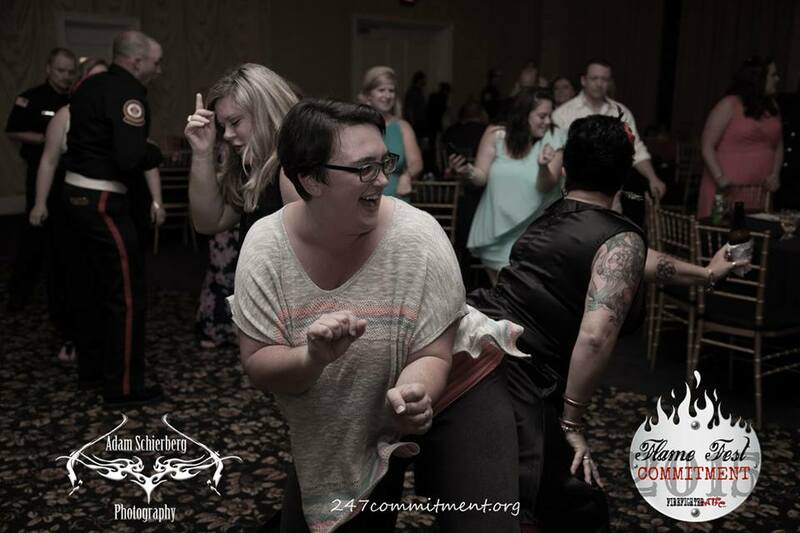 You can also choose to sponsor a couple to attend one of our premier events, the COMMITMENT Weekends, where couples get away together in a fun environment to just focus on each other for 48 hours in the company of other fire couples doing the same. 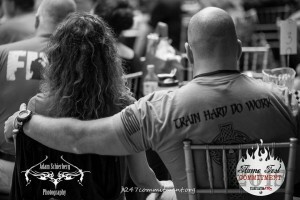 They participate in crew activities, not boring or conference-like sessions, with Dan and Lori Mercer and members of the Honor Guard and Fire Wife Sisterhood. They get all decked out for a hot date night at the COMMITMENT BALL. Then they close out the weekend with the HONOR GUARD GAMES, where couples complete fire-related activities, such as forcible entry on doors and drywall breaching, together.